NEW YORK, Feb. 23, 2012 /PRNewswire/ -- Nutritional company USANA Health Sciences today announced they are teaming up with Dr. Mehmet Oz and Lisa Oz' nonprofit organization, HealthCorps, to help empower young people to live healthier lives. USANA has committed to further HealthCorps' goals of combating childhood obesity and educating children about nutrition and fitness. "One of the reasons we chose to donate to HealthCorps is because we share such similar values," said Dave Wentz, USANA's chief executive officer. "Our common mission is to create a healthier world for future generations, while helping people make better decisions today. It's impressive to see how HealthCorps is impacting people's lives." USANA will be lending a helping hand to an organization committed to dealing with one of the most pressing health issues in the United States. "Consider that approximately 12.5 million American children and adolescents, ages 2 to 19 years, are obese," Dr. Oz said. "In New York State alone, obesity among children and adolescents has tripled over the last three decades. This is among the many issues that HealthCorps is committed to address, and with USANA's generosity, we are able to do much more with our programs." The two organizations will kick off their collaboration this afternoon at a "Teen Battle Chef" cooking competition at Columbia University. High school students from the tri-state area will each prepare a healthy dish to present to a panel of judges that includes celebrity chef Rocco DiSpirito, Dr. Oz, Lisa Oz, Dave Wentz, and USANA Founder Dr. Myron Wentz. Each teen will receive Circulon® cookware and tickets to the Health and Happiness Summit, a wellness event hosted by Dr. Oz on Feb. 25 at Radio City Music Hall. "Teen Battle Chef is one of HealthCorps' many educational programs," Lisa Oz said. "The purpose is to teach kids about healthy eating in a fun way, and we are fortunate to have USANA's support." Erica Irvin, vice president of Students for Food Policy and Obesity Prevention at Columbia University, said the campus was honored to host the event. "Organizations like HealthCorps are doing work that have long-term ripple effect," she said. "Kids benefiting from HealthCorps programs today may teach other kids about health, be a strong example to their peers and even go on to affect public policy and change in the future. That's what this is about." About USANA: USANA Health Sciences develops and manufactures high-quality nutritionals, personal care, energy and weight management products that are sold directly to Preferred Customers and Associates throughout the United States, Canada, Australia, New Zealand, Hong Kong, Japan, Taiwan, China, South Korea, Singapore, Malaysia, the Philippines, Mexico, the Netherlands, the United Kingdom and Thailand. Learn more at our website (www.usana.com), read our blog (www.whatsupusana.com), like us on Facebook (www.facebook.com/usanahealthsciences), or follow us on Twitter (@usanainc). About HealthCorps: HealthCorps® a 501(c)(3) co-founded by renowned heart surgeon and two-time Emmy® Award-winning talk show host Dr. Mehmet Oz and his wife Lisa, is building a movement to fight the childhood obesity crisis by helping Americans discover what they are really hungry for and why. HealthCorps Coordinators carry out unique in-school and community programming targeting high-need populations. Using peer mentoring to deliver a progressive curriculum in nutrition, fitness and mental strength, HealthCorps Coordinators give teens purpose, help develop human character and inspire an interest in health and culinary arts careers. HealthCorps also serves as a unique research laboratory - exploring the complex, underlying causes of the obesity crisis and discovering and communicating solutions. HealthCorps is bringing many initiatives together to address the "Whole Child" and activate the student's mind, body and spirit. As a result, HealthCorps is transforming the educational paradigm one school at a time. The program network spans 54 schools in 13 states. For more information, please visit www.healthcorps.org and follow us on Twitter at www.twitter.com/healthcorps and on Facebook at www.facebook.com/HealthCorps. At a Glance: Research shows that poor sleep can result in blood sugar abnormalities and may be linked to an increased risk of type 2 diabetes. Sleep is an essential part of life, and poor sleep habits have been associated with a number health problems such as obesity, decreased immune function, and cardiovascular disease. Recently researchers have investigated other health problems that could be linked to poor sleep habits. New evidence shows that poor sleep habits may also increase the risk of developing type 2 diabetes. Type 2 diabetes is the most common type of diabetes and it occurs most frequently in middle-aged adults. Type 2 diabetes occurs when the cells of the body do not respond properly to insulin, and rather than storing sugar for later, high levels of sugar build up in the blood. One study compared the sleep habits of 1,455 individuals over a six year period. Individuals in the study who slept on average less than six hours a night were five times more likely to have impaired fasting glucose levels than those who slept six to eight hours a night. Having impaired fasting glucose levels is a condition that can precede type 2 diabetes, and is therefore a condition that should be monitored carefully, and prevented if possible. Another study used nine healthy volunteers and had them spend five nights in a sleep laboratory. During the first two nights, the subjects were allowed to sleep normally in an undisturbed environment. They were monitored and information was recorded to create a control group. The same subjects were then studied for three more nights of sleep. In these three nights, the subjects were disturbed with loud sounds every time they were about to enter slow-wave sleep, the most restorative stage of sleep. The results show that during the nights when the subjects were disturbed they each were less sensitive to insulin. The decreased insulin sensitivity was comparable to that caused by a weight gain of 20 to 30 pounds. This information confirms the fact that adequate sleep is an important factor in overall health, and may be an important factor in normal blood glucose regulation. American Heart Association. 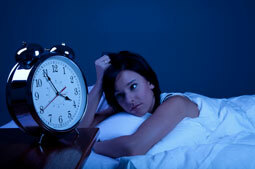 “Short-sleepers” May Develop Blood Sugar Abnormality That Can Lead To Diabetes. March 17, 2009. Tasali, E., Leproult, R., Ehrmann, D., Van Cauter, E. Slow-wave sleep and the risk of type 2 diabetes in humans. Proceedings of the National Academy of Science, January 22, 2008, Vol. 105, Num. 3:1044-1049. At a Glance: A new meta-analysis shows a protective effect of magnesium against stroke risk, especially ischemic stroke. The results of a meta-analysis reported in a new article published in the American Journal of Clinical Nutrition indicate that a greater intake of the mineral magnesium has a protective effect on the risk of ischemic stroke (the most common type of stroke). Swedish researchers performed a systematic review and dose-response meta-analysis of prospective studies to evaluate the connection between magnesium intake and the risk of stroke. Seven prospective studies were included in the review that included a total of 241,378 participants and 6,477 stroke cases. The analysis revealed that for each 100 milligram daily increase of magnesium there was an 8 percent reduction in the risk of total stroke. The association was still significant after adjustment for hypertension and diabetes. When the strokes were analyzed according to type, the protective effect was significant for ishemic stroke (the most common type) but not for intracerebral or subarachnoid hemorrhage. The authors did note, however, that the low numbers of hemorrhagic stroke that occurred among the study participants may have decreased the ability to measure the association accurately. The researchers stated that magnesium’s positive influence on blood pressure, glucose, lipids, lipoprotein peroxidation, and reduction of diabetes risk may be responsible for its protective benefit with stroke risk. 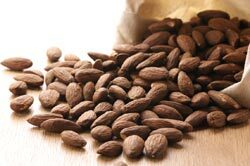 In addition to supplementation, increased consumption of magnesium dense foods, such as almonds, green leafy vegetables, beans and legumes, and whole grains may be an effective approach to reducing stroke risk. Susanna C Larsson, Nicola Orsini, and Alicja Wolk Dietary magnesium intake and risk of stroke: a meta-analysis of prospective studies. Am J Clin Nutr February 2012 vol. 95 no. 2 362-366. SALT LAKE CITY, Feb. 10, 2012 /PRNewswire/ -- USANA Health Sciences, Inc. (NYSE: USNA), a global nutritional supplements company, today announced that its USANA® Probiotic supplement has been tested and approved by ConsumerLab.com, LLC, a company that independently tests health products for purity, disintegration and strength to help consumers and healthcare professionals identify the best quality health and nutrition products. ConsumerLab.com has also approved USANA's Coquinone® 30, Visionex®, BiOmega™, Mega Antioxidant and Chelated Mineral supplements. "Having our products pass ConsumerLab.com's tests means a lot to us," said Dan Macuga, USANA's chief communications officer. "Because we manufacture over 90% of our products in-house, in an FDA registered facility, it's a tremendous honor to receive verification from a third-party organization. It exemplifies our commitment to producing effective and dependable products." Known for keeping health and nutritional companies honest about their product claims, ConsumerLab.com has tested over 3,200 products since 1999 and freely publishes its testing methods for public consumption. "Our mission is to identify the best quality health and nutritional products through independent testing so that the general public is aware of what they are putting into their bodies when taking certain supplements," said Dr. Tod Cooperman, ConsumerLab.com's president. 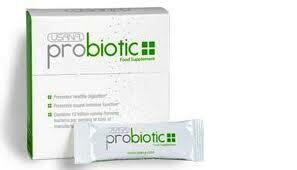 "It is to USANA's credit that USANA® Probiotic passed our rigorous testing which many products have failed to pass. It is to USANA's further credit that it voluntarily sought ConsumerLab.com's third-party certification of the quality of this and other products." "We take our quality control and testing process very serious when it comes to our products," said Dr. John Cuomo, USANA executive director of product development. "Developing each of our products requires extensive research and to receive validation from ConsumerLabs.com for the sixth time demonstrates USANA's dedication to providing trusted nutritionals." In addition to earning ConsumerLab.com's seal of approval for multiple supplements, USANA has three different NSF Certifications. The manufacturing Facility in Salt Lake is NSF‐certified to follow the Federal Drug Administration (FDA) guidelines for Good Manufacturing Practices (GMP). Additionally, USANA has obtained Certification of Label claims on six core products, and several products are Certified for Sport, meaning its products do not contain banned substances. Most recently the company obtained the FDA's "Drug Establishment Registration," which allows USANA to manufacture over‐the‐counter (OTC) drugs. About ConsumerLab.com: ConsumerLab.com is a leading provider of consumer information and independent evaluations of products that affect health and nutrition. The company is privately held and has no ownership from, or interest in, companies that manufacture, distribute or sell consumer products. For more information visit www.ConsumerLab.com.